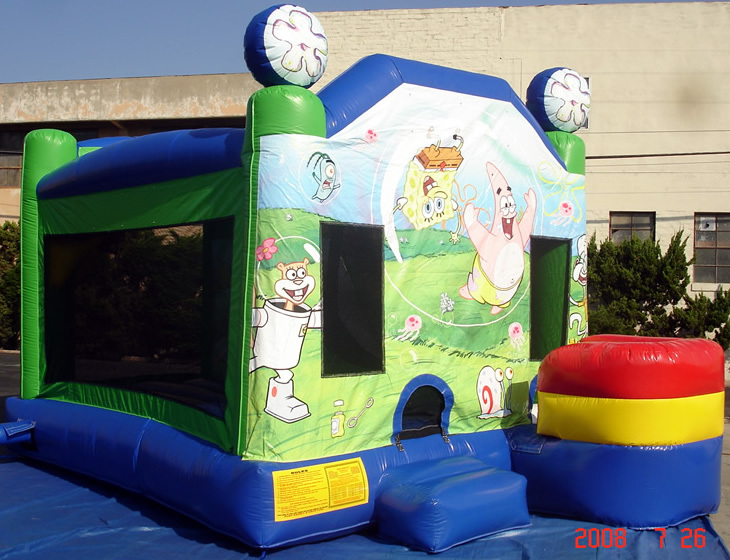 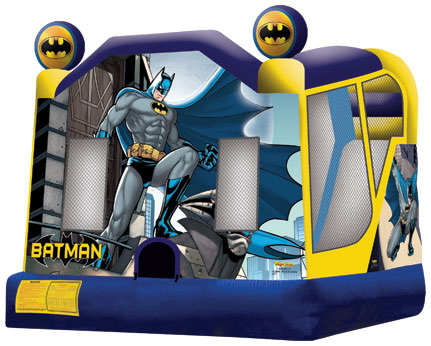 Combo units provide the ultimate party experience by combining the fun of a bounce house with the excitement of a slide. 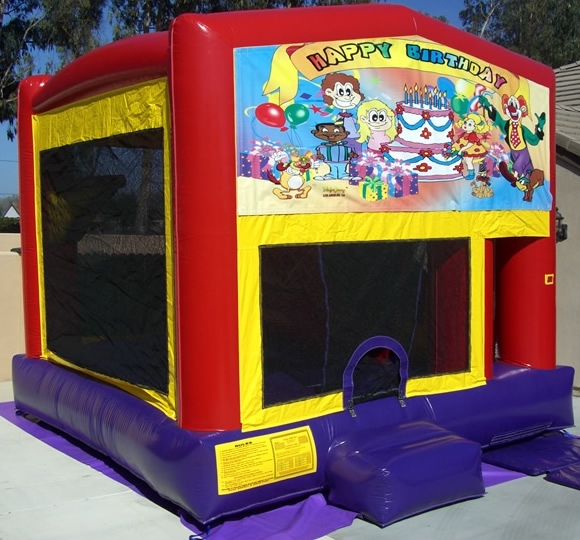 Some of them even contain fun obstacles inside, as well as a basketball hoop! The C4 bounce house combo offers four different activities for endless hours of action. 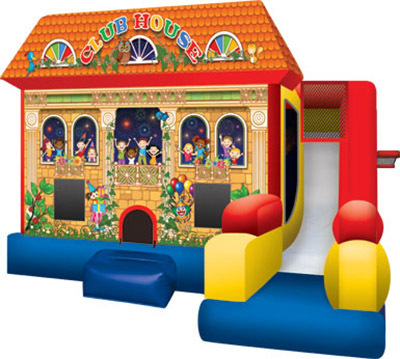 Each unit has a large interior jumping area, a basketball hoop, a climb to conquer, with a fun and fast slide – plenty of entertainment for even the most energetic child! The C5 serves up a five-challenge inflatable combo bounce house of entertainment! 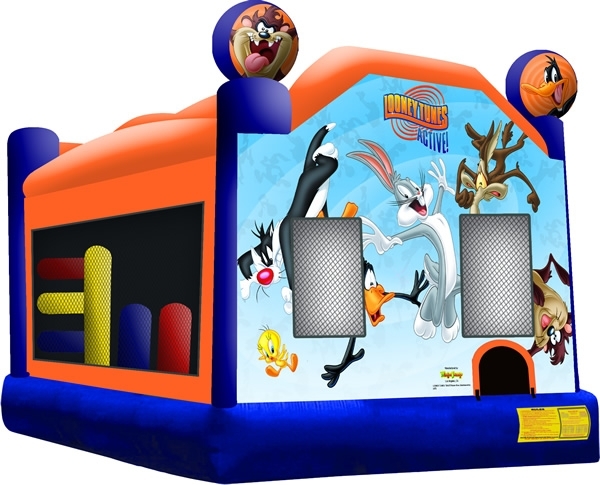 A jump area with basketball hoop and obstacles are vital attractions, while continuous movers can climb and slide for hours on end. 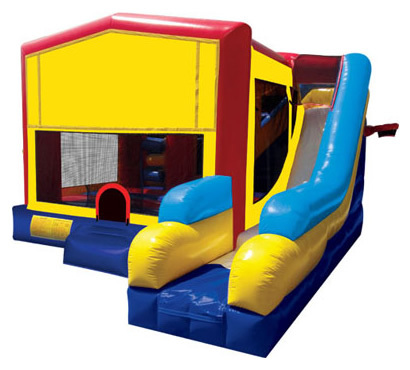 This versatile inflatable jumper combo is ideal for backyard parties, recreational events or your next gathering. 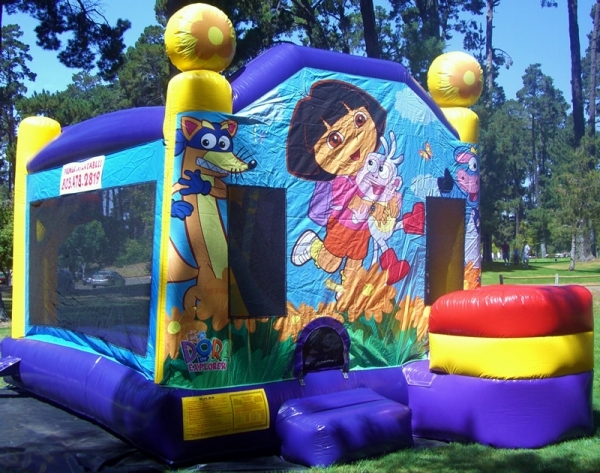 The licensed Go, Diego, Go! 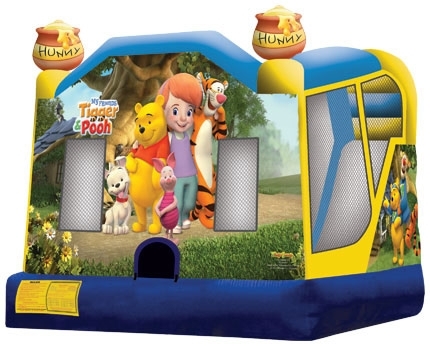 5-in-1 combo-style bounce house is the ultimate in inflatable jumpers! The large interior jumping area offers a basketball hoop and both log and pop-up obstacles. 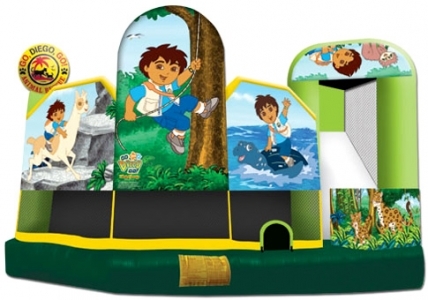 This unit has a climb feature and a convenient exit slide for hours of vigorous fun! 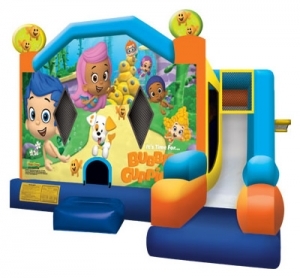 The Disney Princess 3D 5-in-1 combo bounce house features the same fun ad exciting interior layout as that of the Go, Diego, Go unit, but with an extra-special girl’s touch on the outside. 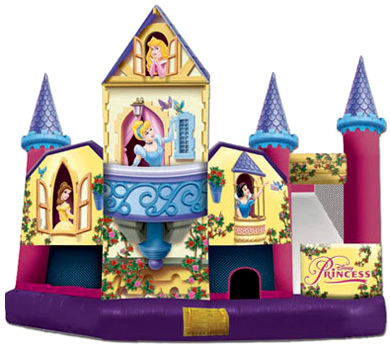 This Princess’ castle features exquisite detail, and plays home to some of Disney’s classic princesses, including: Belle, Snow White, Sleeping Beauty, and Cinderella. Cinderalla is showcased in her very own 3D balcony. 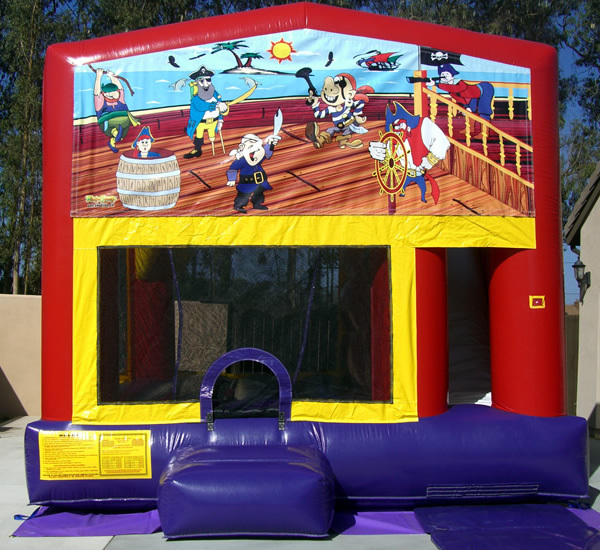 Girls will love reigning over their castle, while the boys can play the roles of the gallant prince. 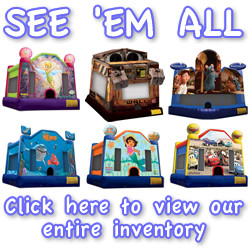 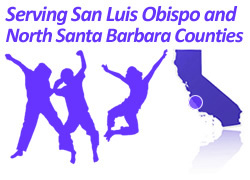 To reserve any of the combo units featured here, or if you have any further questions, please give us a call at (805) 478-2819 or send us an e-mail. 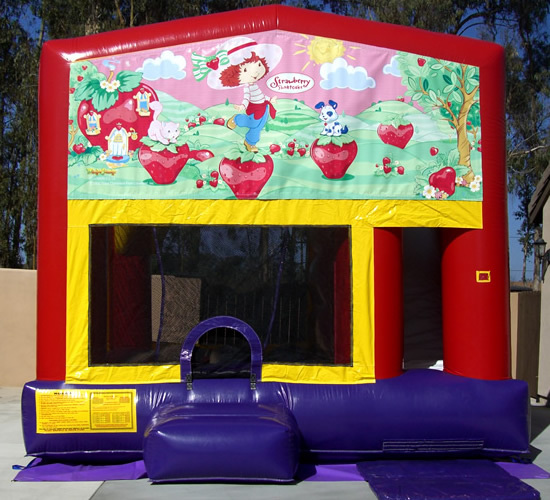 Also, be sure to visit our FAQs page for more information regarding our products, policies and services.